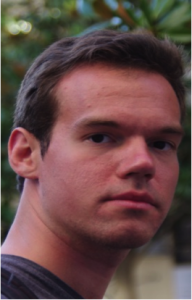 Sergey Mitryukovskiy received his PhD in Physics in 2014 from Ecole Polytechnique (Palaiseau, France) where he worked within the Interaction Laser Matter group lead by Prof. A. Mysyrowicz and Dr. A. Houard. His principle research topics were the generation of THz radiation from femtosecond laser plasma filaments and secondary laser emission by filamentary plasma. In 2014 Dr. Mitryukovskiy joined the Russian Quantum Center (Skolkovo, Russia) as a research fellow. There, his work focused on nonlinear optical studies in the mid-IR range using a unique OPCPA (optical parametric chirped pulse amplification) based mid-IR femtosecond laser system.